Capital letters are very useful. Without them, it would be hard to start a new sentence, to feel good about yourself when writing down your name, or to shout at somebody on Twitter. MINI used capitals to distinguish itself from the old 1959 Mini when its new version was launched, to much global ooo-ing and aah-ing, in 2000. Not all of the noises were done with a smiley face, mind. Some, like Shed, wondered where all the interior space had gone, given that the new outfit (BMW, they were called) had had plenty of time to improve on the genius of Issigonis. 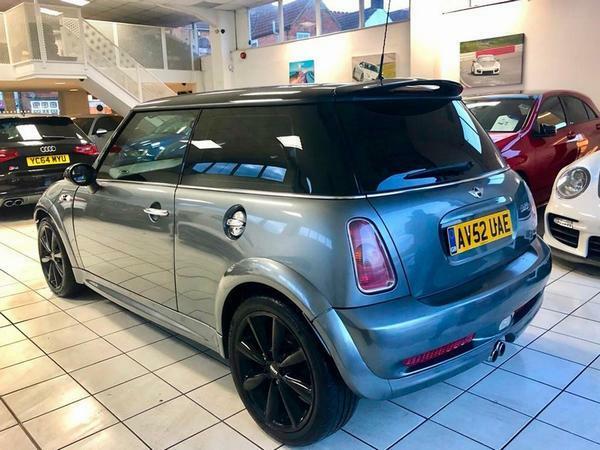 Over the course of the following two decades, in a remarkable parallel with his marital life, Shed's feelings toward the MINI softened and then gradually re-hardened as it got bigger. 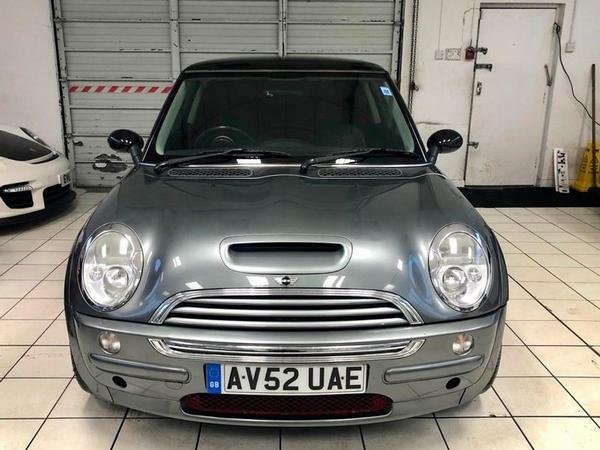 Today's Shed, a 2002 MINI Cooper S, is from his soft time. Shed remembers folk paying over the odds for the S when it came out. That's because it was quite a tool. S is a capital commonly used in the automotive industry to denote sportiness. 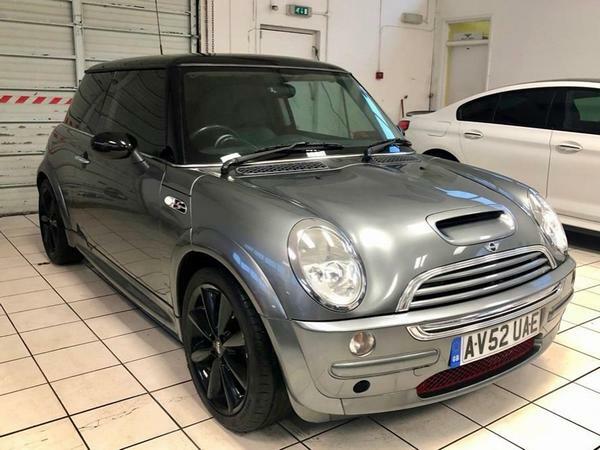 In the case of the R53 Cooper S it also meant supercharged, a very satisfactory method for getting 163hp out of a 1.6-litre four. Our Shed looks like it might be a Chili pack car, which in the UK included front fogs, an interior light package (footwells, reading lights, illuminated vanity mirrors), air-con (manual), 17-inch S-spoke alloys, xenon headlights (the early ones of which were oddly rubbish on main beam, apparently) and Dynamic Stability Control. The £1,350 Chili pack was so popular that MINI ran out of the alloys (which came with runflat tyres). They had to put out a stopgap Chili-lite pack called Pepperoni which was basically the Chili but with the standard S's 16-inch rims. The ride on those 17-inch alloys was great by the way, especially over washboard roads or Belgian pavé. No, only joking, the ride was rubbish. 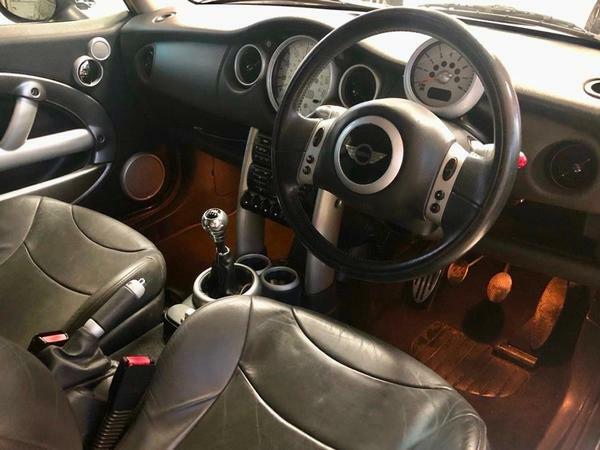 Chilis are supposed to have half-leather sports seats with lumbar support and passenger seat height adjustment, but the perches on show here are either sporting an amazing new development in leather-look cloth or they're full leather. Whatever, the point is that packed MINIs weren't short on spec. The bamboozling range and variety of MINI personalisation was one of its unique selling points. You'd be unlucky to spot one identical to yours coming in the opposite direction. Having said that, there was a good general take up of the classy silver/black paint scheme you see here. Nearly 20 years on, the finish on our car still looks more than decent. 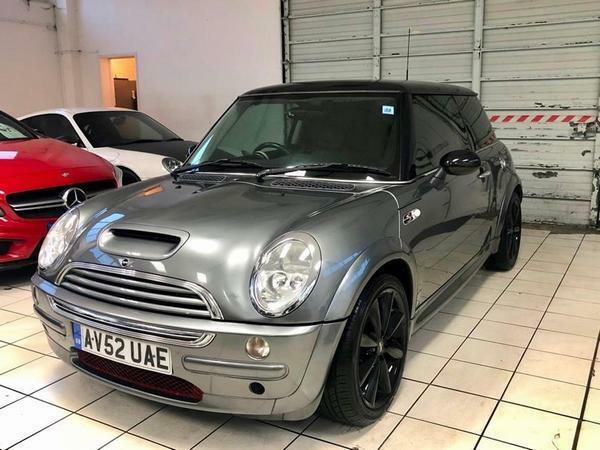 There were a few less pleasing bits and bobs with those early MINIs, like transmission issues, power steering motors melting looms and/or whining like a dog caught in a bear trap, steering columns whining even more, and rusting door check and fuel tank retaining straps. MINIs of this vintage also had an odd habit of pulling to the left, which was to do with faulty front struts and turrets. Models specifically from 2002 had valve spring issues, but they should all have been fixed under warranty. On the positive negative side, so to speak, the troublesome pano roof isn't here to worry you. There is something that might, though. Those of you who naughtily skip straight to the ad without doing the equivalent of eating your greens, i.e. reading this old tut, will have noticed that this car is Cat N.
Here's where capital letters aren't so welcome. Still, you might think that the value-depressing effect of insurance damage categorisation is actually quite a good thing for buyers. 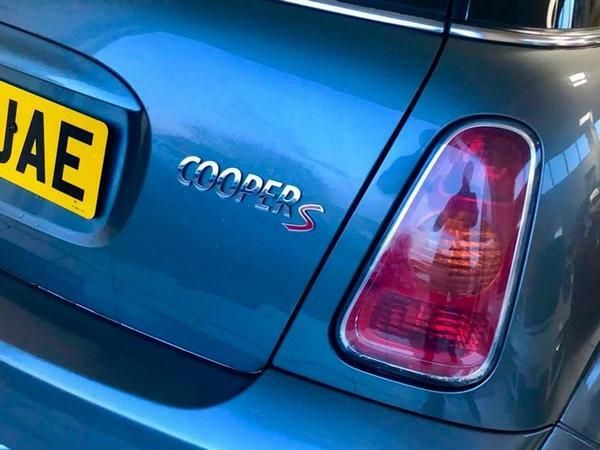 An uncategorised Cooper S of this year and mileage would normally be around £2.5k, so the £1,400 being asked for this one represents a grand saving, quite literally. What does Cat N mean? As you know, the Cat rules were changed last October, when the old categories were replaced by new A, B, S and N ones. Don't bother trying to repair cars in Cats A and B because you won't be allowed to put them back on the road. Cat S is like the old Cat C. A car in this category will have had a noticeable thump, bending or weakening its structure, but not to the extent that it can't be professionally repaired. Cat N is the one we punters should fear the least. It's the old Cat D, which means no structural damage. In fact, there might not have been much damage at all: what there was may well have been purely cosmetic, but the cost of sorting it out was high enough to generate a thumbs down from the icy-eyed insurance assessor. Shed reckons that this car probably had its Cat N incident sometime within the last year, because it went in for two MOTs in 2018, and why would you do two MOTs unless you had to? The first in March which it passed with two advisories (minor exhaust leak and wobbly front bumper) and the second (current) one in November. Skimpy service histories are never ideal, but some front suspension rebushing was carried out in 2017 to get it through that year's test, and Shed is further reassured by the £430 pre-MOT service that was carried out last November. Shame that service didn't manage to fend off the two advisories of slight play in the o/s front wheel bearing and the continuation of the exhaust gas leak. Life with the horribly gaseous Mrs Shed has somewhat inoculated Shed against that sort of thing, so it wouldn't put him off buying a car. Nor would Cat N-ness. But then again, as Shed's Dad said to himself when he saw his son beaming proudly at Mrs Shed as she rumbled gracefully down the full width of the church aisle, fools rush in where angels fear to tread. Obviously, you need to go into anything like this with your eyes open, and you might think it worth investing some of your savings in an engineer's inspection. If you think you're hard enough, or as brave as Shed, though, here's the ad. Thanks. Some interesting sheds this year. Might be a result of the cat N incident. The dealer has some nice cars on their website (2018 Porsche 911 audi R8 v10 etc). Could be they're just tying to get rid. Looks like it could be a bargain. Espcially if you could get the dealer to chuck in a warranty for a few months. I love these, the 6spd box, torque steer and supercharger whine makes you grin every time. However these can quickly become beyond economical repair, hence lots around for not a lot of money. I’d still be tempted though for a run around. Great shed article this week, had me chuckling into my old fashioned at the mention of Mrs. Shed’s gasses and walking down the aisle. The mind boggles!